Posted April 19, 2018 by Laura Wilson & filed under Blog, In the News. In today’s modern world, we are seeing more and more reliance on technology. The testing world is not impervious to this trend. 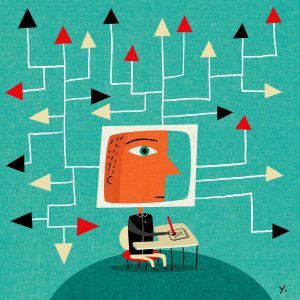 Now, students all over the country are starting to take the SAT and ACT exams on the computer instead of the standard format of pencil and paper. This change is not without its pros and cons and this article explores the consequences of moving the tests online. However, what this article forgets to mention (and what we feel is a very important point) is that having the exams administered on the computer limits the students’ ability to use many of the strategies we teach through our program. Click here to read this article written by Liz Moore.